Racing Victoria officials will make 11th-hour overtures to Winx's connections to woo the world's best racehorse to Melbourne for a Flemington swan song. Executive general manager of racing Greg Carpenter confirmed the superstar mare was a wildcard target for the $5 million All-Star Mile at Flemington on March 16. Winx on Saturday smashed the Group 2 Apollo Stakes race record at Randwick while demolishing several potential All-Star Mile contenders. The win was her 30th in a row and her 34th from 40 starts. Racing Victoria will explore all avenues to lure Winx back to Melbourne, where she is unbeaten in seven starts. Four wildcards will be distributed by Racing Victoria officials next month to horses who failed to make the All-Star Mile's top 10 based on public voting. 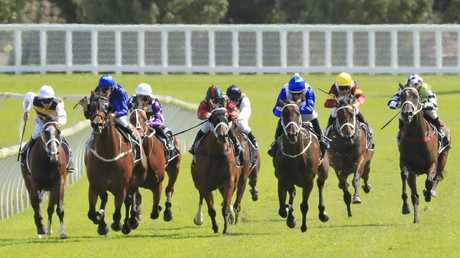 Trainer Chris Waller last month indicated Winx would probably remain in Sydney for a four-race campaign, which is likely to end with a career farewell in the Queen Elizabeth Stakes at Randwick on April 13. But Carpenter is keen to have another crack at luring Winx south for the All-Star Mile. 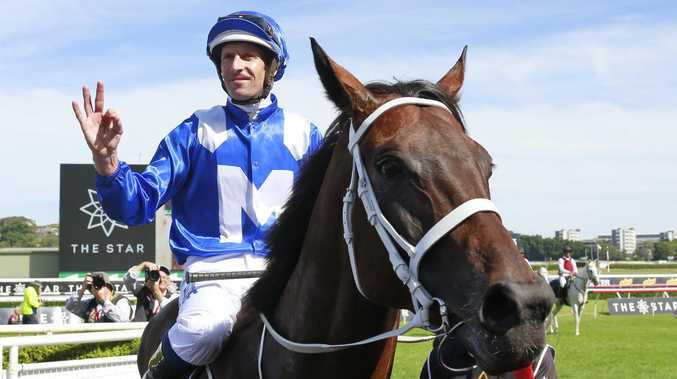 "I'll be approaching the connections of Winx through Chris Waller to see whether they want to take up an option of a wildcard," Carpenter said. Public voting to select the first 10 places in the All-Star Mile closes at noon tomorrow. Racing Victoria will then consider four other contenders outside the top 10 as wildcards. Waller has pencilled in The Chipping Norton (1600m) on March 2 at Randwick as Winx's next start. The plan is then to head to the George Ryder (1500m) at Rosehill on March 23 before returning to Randwick for the Queen Elizabeth Stakes (2000m) in mid April. "What she does for racing makes me proud," Waller said after the Apollo Stakes. "It's a great sport and she's a true headline act and puts racing in a positive light." On previous visits to Melbourne, Winx has drawn massive crowds. Given the novelty of the All-Star Mile and her popularity, the wonder mare would again draw a huge crowd.